All hobbies have been on the backburner for a few months due to my pregnancy and work on my thesis. The book pile has grown to enormous heights during this time. Now that the thesis is finished (it only took me two years) and Ture has arrived I hope to have plenty of time left over for reading. 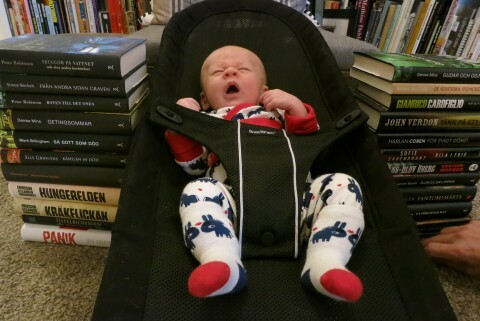 I may be naive, but during the last few weeks I have been able to listen to a couple of audiobooks during the nights when the baby has kept me up – it is the perfect cure for my lack of reading frustration.